Netanyahu Shuts Down CBS When They Ask If He'd Talk to Hamas: Would You Meet With Al-Qaeda? 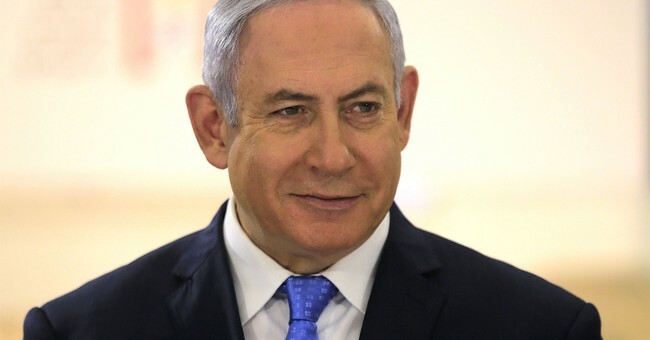 Israeli Prime Minister Benjamin Netanyahu had a question of his own for CBS anchor Jeff Glor Tuesday when Glor asked if Netanyahu saw himself “under any circumstance talking to Hamas?" "As long as they seek our destruction, what am I going to talk about?" Netanyahu replied. "Could you talk to al Qaeda? Would you have discussions with bin Laden? About what?" Netanyahu agreed that such meetings are possible but explained that leaders have to abandon the goal of annihilating the other side for this to work. Netanyahu emphasized that he sees the possibility of peace with Palestinians, but only those that do not share Hamas’s goal of Israel’s destruction. “Did your army go too far?” Glor pressed at one point regarding the casualties from the violence at the border. “I don't know if any army would do anything differently if you had to protect your border against people who say, ‘we're going to destroy you and we're going to flood into your country,’” Netanyahu replied.